CHASING FOOD DREAMS: Ee Chinese Cuisine, Eastin Hotel Petaling Jaya: Mooncake Affair with Thursday Night Specials! Im drooling, and scrolling, drooling and scrolling, scrolling up and down.. I do enjoy the inventive snow skins. Oh, the durian mooncake, had quarter of it definitely not enough!!! I want more! Nice Chinese meal! Love the dishes. The mooncake look very moist with smooth filling. Oooooo...duck! I like!!! And the lotus leaf rice too... Slurpssss!!!! Somebody just sent me a box of mooncakes from KL. Yipeeeee!!!!! Looks like I have some to enjoy this year. Too expensive, can't afford to buy my own. Sobsssss!!!! 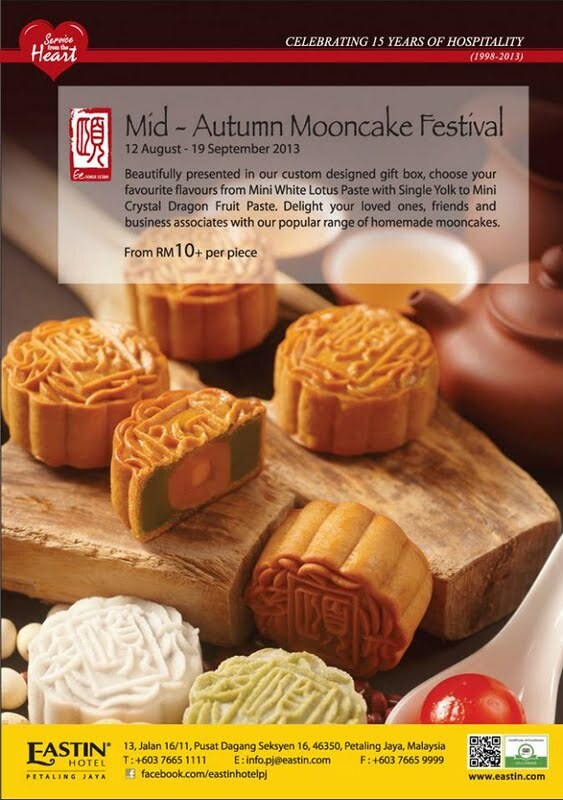 This year I have been tempted to try more durian moon cake considering I have missed the boat last year. Let's see how many I can get..hahaha. Wow! - I seem to say wow! every time I visit your blog - LOL! All the food and mooncakes featured in your post look really good!